Late spring is the best time to plant lavender. 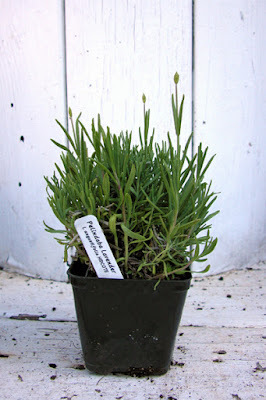 We have lots of lavender varieties at the farm ready and waiting for a new home in your own garden. 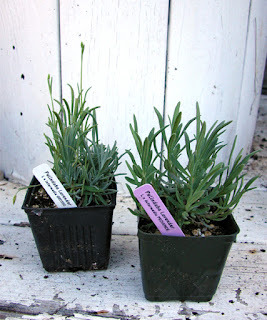 Lavender needs full sun and well draining, neutral to alkaline soil. Once a year the plants need to be pruned, but apart from that if you have a well suited location and prepared soil lavender is a wonderful low-maintenance garden addition with the added bonus of being an attractant for butterflies and honeybees. Here are some of our favorites that will bring color and fragrance to your garden all season long. At our San Juan Island farm the season is April - September. Lavandula stoechas "Otto Quast" and Lavandula stoechas "Dark Eyes"
The lavender plants pictured are in 4" pots. This is a great and affordable size to plant. It will only take 2-3 years for this size to reach maturity and they will bloom starting year one. Pruning each year will help them retain their shape and prolong their longevity. Varieties of Lavandula stoechas (commonly referred to as Spanish lavender) tend to start blooming early in the season. They come in a range of vibrant purple and magenta colors, and the flowerhead is easily identified by the rabbit ear shaped petals on top. These varieties, although not particularly fragrant, are excellent landscape features as they will bloom all season long with consistent dead-heading. 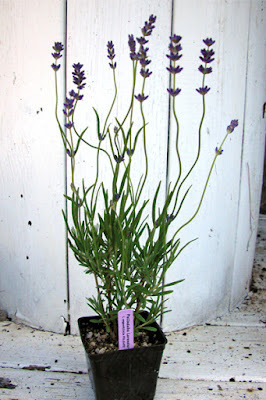 Lavandula angustifolia varieties (commonly referred to as English lavender, which is a bit of a misnomer since lavender is native to regions surrounding the Mediterranean Sea) start blooming late spring and early summer. 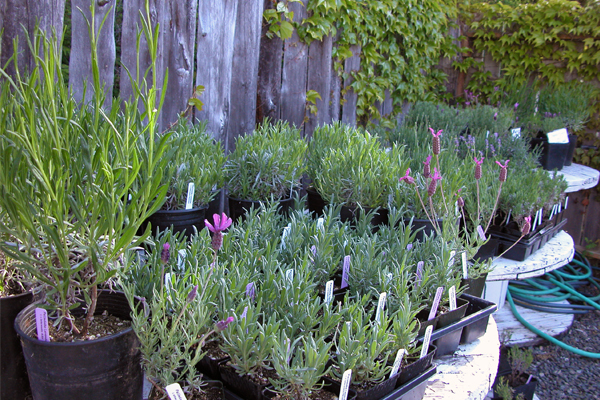 Angustifolia varieties come in a very wide range of colors from white, pink and light lavender to magenta and dark purple. These varieties range in size from 1 1/2 feet to 3 1/2 feet in diameter when in full bloom. Many of these fragrant varieties are excellent for drying and crafting. 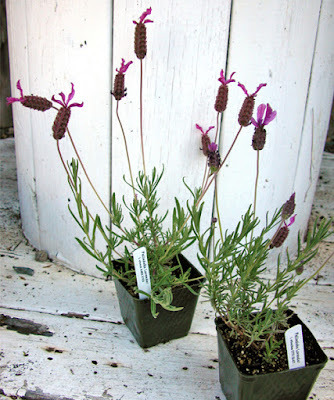 The species that we grow en masse at our farm is Lavandula x intermedia. The "x" in the species name denotes that it is a cross. 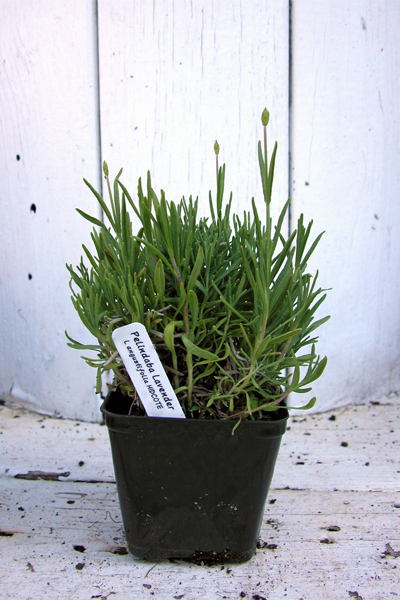 Specifically intermedias are a cross between Lavandula angustifolia and Lavandula latifolia. Varieties of Lavandula x intermedia tend to be large, ranging in size from 2 1/2 feet to 4 1/2 feet in diameter. They tend to have tall stalks with long, slender flowerheads that range in color from white to rich purple. In particular we grow Lavandula x intermedia "Grosso" for all our dried bouquets and all our essential oil distillation. It dries beautifully when harvested mid-season and by the end of the season the flowerbuds are rich in essential oil. In fact, it has the highest oil yield of all lavender varieties. We grow Lavandula x intermedia "Provence" for all our culinary products and for our dried sachet bud. When harvested at the very beginning of the season when just a couple of buds have opened, it has a wonderful, slightly sweet flavor perfect for culinary uses. Towards the end of the season the lavender flowers are filled with essential oil and ready for drying, stripping and making into sachets, etc. With more than 400+ varieties of lavender in existence ranging in blooming time, size, foliage color and shape, flower color and shape, fragrance and particularly suited use, lavender is a remarkably diverse plant well-suited to herb gardens, fresh flower gardens, low-maintenance landscaping and drought prone gardens.